By Leah Dobrinska. May 23, 2018. 9:00 AM. Any discussion of a Philip Pullman collectible will probably start here. 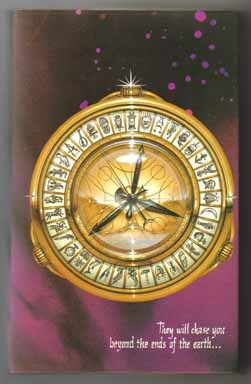 His Dark Materials trilogy, published from 1995-2000, is what made a name for Philip Pullman. 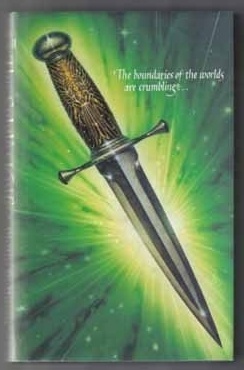 The books included in the trilogy are Northern Lights, (1995, published under the title The Golden Compass in the United States), The Subtle Knife (1997), and The Amber Spyglass (2000). These books make up one of the most famous fantasy series in the last half century. Although, as we’ve noted before, Pullman prefers to think of the books as “stark realism” not fantasy. First editions of the entire His Dark Materials trilogy in fine condition, including the dust jackets will sell for thousands of dollars. Scholastic Children’s Books published a 10th anniversary edition of the trilogy (1995-2005) in 2006. This was a limited anniversary edition, and only 1,000 copies were printed, each numbered and signed by the author. This special edition collectible costs around $1,000, depending on condition. Individually, the first editions of the titles within the trilogy can cost around $10,000, as well. Indeed, a true first edition, first state copy of Northern Lights (published in 1995 by Scholastic Children's Books, London) has a dust jacket that includes 'POINT' on the jacket spine, as well as a price of 12.99 on jacket and 7-9 Pratt Street on rear flap, and, if in fine condition, will sell for around $10,000-$11,000. The Subtle Knife, volume II in the trilogy, will likewise cost a collector a sizable sum if it is a true first edition with the complete number line on the copyright page. In fine condition with the dust jacket and an author signature, such copies will sell for between $5,000-$10,000. This is the prequel to His Dark Materials trilogy, making it an interesting collectible to pair with the books from the trilogy. The first edition is decorated with John Lawrence's engravings. This handsome clothbound volume includes a removable board game, Peril of the Pole, and a fold-out map of the mythical realm. Signed by both Pullman and Lawrence, a fine copy will sell for a couple hundred dollars. The first book in Pullman’s latest trilogy, The Book of Dust, was published late in 2017 by David Fickling Books and titled La Belle Sauvage. Collectors can find first editions with price tags ranging from $500 to $1,000. The cost of a book will depend on the condition, whether it has been signed, and any noteworthy ephemera that come with it. Obviously, collectors will have to wait to acquire volumes II and III of The Book of Dust trilogy, which Pullman thinks of as a sort of ‘equel’ to His Dark Materials. However, in interviews, Pullman has disclosed that the second volume of The Book of Dust is completed, so maybe fans and collectors won’t have to wait too long after all. Published by Doubleday, London in 1999, first editions of I Was a Rat!...or the Scarlet Slippers have pictorial boards and were issued without a dust-jacket. Copies in fine condition and signed by Pullman can cost around $1,500. 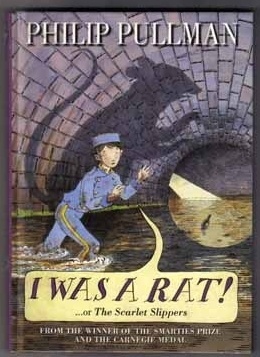 The first U.S. edition of I Was a Rat! was published in 2000 by Alfred A. Knopf, New York. First U.S. edition copies were issued with a dust jacket. Illustrations were completed by Peter Bailey in both the U.S. and UK first editions. The U.S. first edition, in fine condition and signed by the author, sells for a couple hundred dollars. Interested in more Pullman titles? We have several. Click here to learn more.